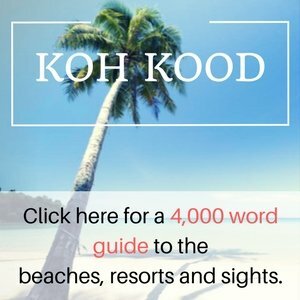 This isn’t a restaurant and bar guide to Koh Samet. Nor a list of the best places to eat and drink. Just some ideas of what’s available on the island. You will find a lot of the popular restaurants located along the beach areas of the island. If seafood is your thing then be sure to check out one of the many barbecues that can be found on almost all of the beaches on Koh Samet. Most offerings are identical from the next. In the evening the restaurants will extend there tables on to the beach so you can dine in tranquil picturesque surroundings, whilst gazing at the stars. Around the Nadan Area of the island there are a few small traditional Thai restaurants offering affordable food. Almost every hotel, bungalow or resort setup have there very own restaurant offering local and western food from pasta’s to hamburgers, with the latest blockbuster movie thrown in for entertainment. Regardless of your budget or tastes you can find good quality food on Koh Samet from as little as 40 or 50 Baht. Of course, if you aren’t on tight budget then it’s definitely worth splashing out on some of the freshly caught seafood. begin with the first meal of the day, namely breakfast, one of the best options is ‘Khao Man Gai’ a traditional Thai dish of freshly prepared chicken, boiled or fried, served with rice. If you are veggie then ‘Joke’ rice porridge is a good alternative and can be found at stalls in all the main beach areas. Also look out for the ‘Khao Gaeng’ restaurants where you can get a local-style rice and curry breakfast for 40 Baht. During the day, you probably won’t feel like having a big lunch. But keep your energy up by snacking on rehydrating fresh fruit or a delicious smoothie. Or cool off with some homemade ice cream. For a quick snack, somtam – spicy papaya salad – and BBQ chicken wings make for a quick, healthy and cheap lunch. As the sun goes down, roti stands are set up everywhere. They specialize in serving the streetfood favourite in a number of combinations, a particularly popular option being banana filling with chocolate or alternatively sweetened with condensed milk. Dinner can be had anywhere with options ranging from traditional Thai eateries to western outfits serving pizza, steaks and hamburgers and endless joints offering seafood BBQ on the sand. While you can have food at your bungalow, it’s more fun to explore and discover the range of eateries outside your resort. If you are looking for an alternative to the standard offerings of the seafood barbecues that swamp Koh Samets beach fronts then head to the main street in Samet village and be blown away by the character and quality of Red Ginger. Owned by a Canadian gentleman and his Thai wife this small intimate restaurant offers great cuisine from Thailand and the west with exceptional service and attention to detail. Those that sample the delight of Red Ginger will only return wanting more. One of the finest and most popular restaurant’s on Koh Samet, the tables of Jepp’s restaurant are full from opening to closing. Situated right on the edge of Ao Hin Khok beach stunning views accompany it’s quality food. It’s extensive menu offers food from every corner of the world with Indian, mexican and Italian dishes a small selection of what is available to you. Prices range from 100 baht for local dishes and between 200 and 400 for some of it’s western offerings. The busier and more popular beaches of Hat Sai Kaew and Ao Phroa are where you will find the busier bars offering a variety of drinks from across the world. Many beach restaurants by day, turn into late night drinking holes come night time, keeping visitors fueled with alcohol until the early hours. Almost every beach on the island has it’s fair share of small bars. The quieter beaches offer a more relaxed ambience as it’s visitors wander between each establishment building new friendships and sharing tales, amongst the picturesque scenery and night skies of Koh Samet. With it’s popularity amongst backpackers the beach area of Ao Hin Khok gets lively once the sun goes down. Cheap cocktails and buckets are the order of the day here and random parties any night of the week are far from uncommon. Parties are held most nights somewhere on the beach. But it is the weekend which is the most crowded. Check the signs outside bars for great Happy Hour deals. Once the sunset’s it’s very hard to miss Ploy bar if anywhere along the east coast of the island. Ploy Bar is one of the islands premier nights spots. From around 8pm the daily Firework and Fire Show are the main attraction with one of the best performances of fire dancing you are likely to see on Koh Samet. Once finished the masses of revelers there every night take to it’s dance floor and the beach sipping buckets and cocktails and making new friends whilst they dance away until the early hours of the morning. Like Ploy bar Silversand bar is one of the liveliest places on Koh Samet come night time. Part of the Silver sand resort the Ao Phai beach front bar blasts out music from around the globe until 4am most nights. Silver sand is home to the islands Full moon party. Don’t expect an early night if staying in close proximity to this place! The Dutch owned bar sits peacefully along Ao Vong Duern beach. A selection of local and imported drinks make up the selection of offerings available here. Most visitors here take to it’s comfy chairs on the beach and sip there cocktails under the stars. Inside there is a pool table. The bar has a great restaurant also serving Western, Thai and Seafood each day. It’s very rare to visit any tourist destination in the world and not find an Irish pub somewhere nearby. O’Brady’s Irish Pub ensures that Koh Samet is no different. Although Guinness is not available on draught, irish ciders and decor give the pub the distinctive Irish feel you would expect. The Pub serves food also and breakfasts and a selection of western pub favourites are available here daily. Traditional English roast dinners are served every Sunday.